iPad and iPhone TESTED ! & Metro Mobile Theme can work with Android, WP8 and major phones. Demo images not included design. You can find that photos on PhotoDune. And another sources on help document below the Sources. 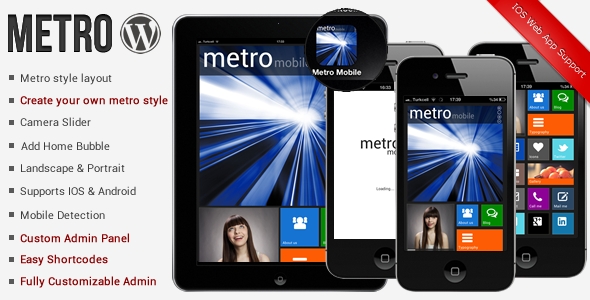 Share the post "Metro Mobile Premium WordPress Mobile Template"